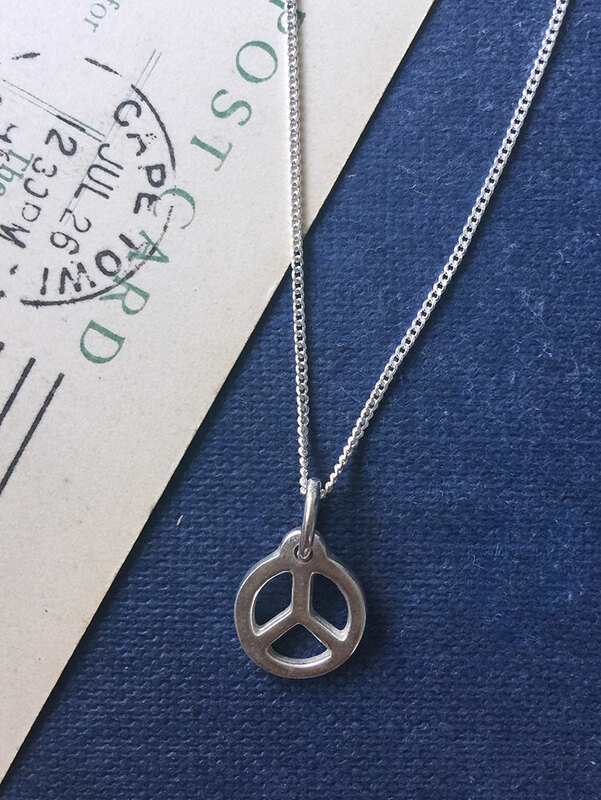 Peace Necklace is inspired by peace, harmony and love. A reminder of the spirit of love and the hippie culture of the 1960s and 1970s. The peace sign comprises of a circle and a vertical line with downward sloping lines forming a sort of upside-down broken cross. During the 1960s the peace symbol was associated with the spirit of love, service to humanity and peace. It grew to enormous prominence from the anti-war hippie culture and quickly merged into mainstream society. The peace symbol was seen everywhere, appearing on everyday items such as advertisements, art and toys. This well-known Peace symbol was designed by artist Gerald Herbert Holtom, on February 21st, 1958. Holtom was a staunch peacemaker, and he worked closely with the organisation Direct Action Committee against Nuclear War to develop the design. The design was first seen in the public eye on April 4, 1958, at the Campaign for Nuclear Disarmament (CND) march. Since, it has risen to significant prominence, with the symbol being the most well-known icon for peace. The “V” sign had been used for centuries to represent “victory”, its meaning changed during the 1960’s to stand for peace. Since, the peace sign has become a generic peace sign, crossing national and cultural boundaries. Great sentiments to wear and gift to those you love most. This necklace looks great layered with our Love Heart Charm, also available in Sterling Silver from our Ready to Wear Collection. Peace & Love believed to be some of the most ultimate values. 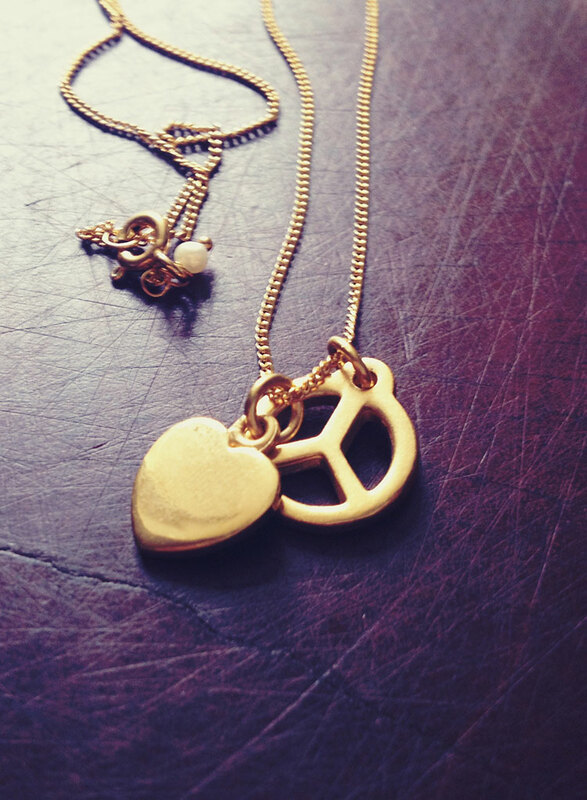 Peace necklace reminds us of the days of tie-dye, hippies, flower power and discos. The necklace is the ideal gift for the lover of all things retro and cool.